Dog Training Graduate from Reading, PA. 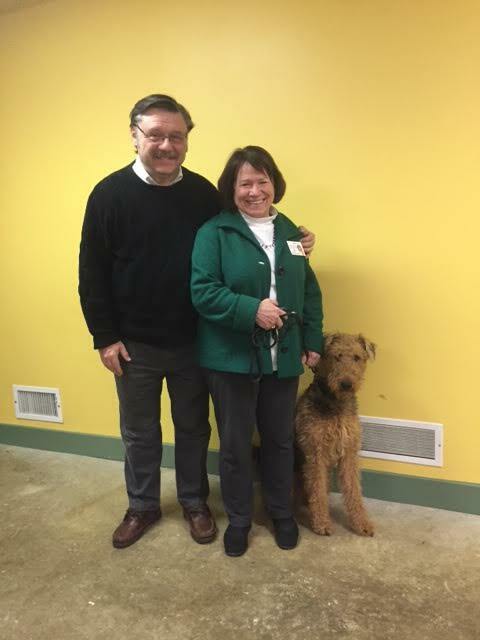 Recent dog training graduate, Squire, with Tom and Patti A. from Reading, PA. I like that the same people are there each time I go, not a big turnaround of employees, really helps the dogs and me feel at ease. I highly recommend Peacock to board your dogs.